Cat dealer EPSA introduces standardised genset modules (0) April 24, 2019 Energy Power Systems Australia (EPSA) has combined over 25 years of expertise and experience to engineer a standardised generator package that delivers optimum power. 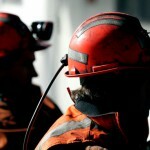 Leading miners back guideline for automation projects (0) April 24, 2019 BHP, Roy Hill and Teck Resources have helped drive a project to develop a guideline for autonomous systems in the mining industry. Mount Gibson restarts Koolan Island shipments to China (0) April 24, 2019 Mount Gibson Iron has restarted sales of high grade iron ore from its Koolan Island operation in the Kimberley region of Western Australia following an extensive flood damage in 2014. Komatsu’s unveils largest autonomous truck (0) April 24, 2019 Komatsu’s latest autonomous ultra-class haul truck has been deployed commercially at an oil sands operation in Canada. Echo to kickstart Yandal towards 100,000oz annual gold production (0) April 24, 2019 Echo Resources has confirmed the redevelopment of its Yandal gold project in Western Australia as technically robust, capable of generating $225 million over its initial mine life. Rio Tinto discovers rare white diamond at Argyle (0) April 24, 2019 Rio Tinto has revealed one of the largest gem-quality white diamonds in the 35-year history of its Argyle mine in the Kimberley, Western Australia. RD3 remote monitoring device for rockbreakers improves efficiency (0) April 23, 2019 Rammer continues to deliver innovative solutions to improve profitability, safety and performance by launching a purpose-developed RD3 remote monitoring device for its Excellence line of rockbreakers. Northern Minerals secures $15m in funding for Browns Range (0) April 23, 2019 Northern Minerals is raising $15 million in funding to develop its Browns Range heavy rare earth pilot plant in Western Australia and to repay research and development costs. Newmont Goldcorp becomes world’s top gold producer as merger concludes (0) April 23, 2019 Newmont Goldcorp has finalised its merger with Goldcorp to become the world’s leading gold business just three months after securing the $US10 billion ($14 billion) takeover. 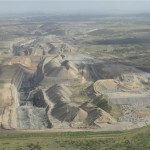 Whitehaven enters next phase of Winchester South development (0) April 23, 2019 Whitehaven Coal has reached a milestone in the proposed development of the Winchester South metallurgical coal site, with the Queensland Government declaring it a coordinated project. Connecting your mine to the future (0) April 23, 2019 The digitalisation of mines is a hot topic, and one with that encompasses many technologies and beneficial outputs. Sandvik strengthens OptiMine solution with tech acquisition (0) April 23, 2019 Sandvik is bolstering its automation and digitalisation offering through the purchase of mining technology company Newtrax. The top five mining stories last week (0) April 23, 2019 Stay on top of the most read articles on the Australian Mining website over the past week, starting with contractor Ausdrill revealing illegal activity by an employee at the company. 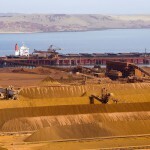 Fortescue cuts iron ore guidance amid surging price (0) April 18, 2019 Fortescue has posted a 47 per cent surge in its iron ore’s selling price upon higher benchmark iron ore prices, reaching $US71 ($98.92) a dry metric tonne. Yancoal explores expansion potential at NSW coal mines (0) April 18, 2019 Pure-play coal producer Yancoal has cited the potential for growth at its Moolarben and Mount Thorley Warkworth coal complexes in New South Wales. Mining a top five industry for Australian job growth (0) April 18, 2019 Online recruitment portal SEEK has reported the mining, resources and energy sector as one of the five biggest industries for job growth over the past year. Austmine 2019 focuses on the next horizon with six weeks to go (0) April 18, 2019 Austmine 2019, the world’s leading mining innovation conference, is set to be staged at the Brisbane Convention and Exhibition Centre from May 21–23. 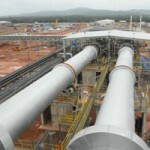 BHP, Rio Tinto share prices dip after Vale mine restart approval (0) April 18, 2019 Brazilian iron ore miner Vale has been granted governmental permission to reopen the Brucutu iron ore mine in the state of Minas Gerais, Brazil. 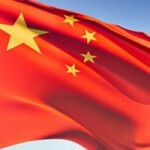 Ausdrill discovers $10m ‘long-term sophisticated’ fraud (0) April 18, 2019 Ausdrill has uncovered fraudulent activities relating to an “unrelated invalid supplier” and is working with the police to do further investigations. OZ Minerals contracts Mobilaris, Epiroc for Carrapateena digitalisation (0) April 17, 2019 OZ Minerals plans to incorporate advanced digitalisation technology at its underground Carrapateena operation thanks to a partnership with Epiroc and Mobilaris. Thunderbox, Carosue Dam prop up Saracen’s growth ambitions (0) April 17, 2019 Saracen Mineral delivered a record March 2019 quarter across all fronts of costs, gold production and “impressive” exploration drilling results. Rockwell Automation introduces The Connected Mine (0) April 17, 2019 The Connected Mine uses advanced analytics to help mining companies collect and aggregate data to gain end-to-end visibility into their operations and make informed business decisions to improve mining operations. Gruyere JV construction nears finish line for first gold pour (0) April 17, 2019 The Gruyere joint venture has completed 97 per cent of its process plant construction in Western Australia, putting it on target for first gold production in the June 2019 quarter. Cowal leads Evolution’s continued gold growth (0) April 17, 2019 Evolution Mining has recorded a significant increase to its gold reserves following continued works on the underground expansion of the Cowal gold operation in New South Wales. Austmine 2019 to bring mining innovation to Brisbane (0) April 17, 2019 Austmine, the world’s leading mining innovation conference, is set to take over the Brisbane Convention and Exhibition Centre from May 21–23, 2019. 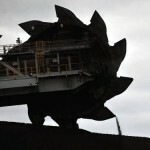 BHP iron ore production forecast hit by weather (0) April 17, 2019 BHP has cut its iron ore production guidance for the 2019 financial year on the impacts of Tropical Cyclone Veronica, following a similar reduction by Rio Tinto yesterday. Gold production to achieve global record in 2019 (0) April 17, 2019 Global gold output is expected to grow to a record 109.6 million ounces by the end of 2019, according to S&P Global data. 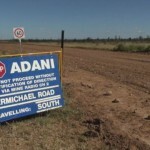 BHP mine sites affected by scarlet fever (0) April 17, 2019 Six cases of scarlet fever have been reported at two BHP iron ore mine sites in the Pilbara, Western Australia. Easternwell secures drilling contract with Senex in Surat Basin (0) April 16, 2019 Senex has awarded a major Surat Basin drilling contract to Easternwell across Project Atlas and Roma North, with works to commence in May 2019. Australia’s key projects and mine expansions (0) April 16, 2019 With Australian mining poised for growth, what are the major operations on the horizon for the industry? Australian Mining finds out. Sandfire begins work with Alchemy at Bryah Basin (0) April 16, 2019 Sandfire Resources has commenced aircore drilling at Alchemy Resources’ Bryah Basin project in the Gascoyne region of Western Australia. Hillgrove to transition Kanmantoo mine to hydro energy project (0) April 16, 2019 Hillgrove Resources is set to transform its Kanmantoo open pit mine into a pumped hydro facility in the Adelaide Hills region of South Australia. Strandline delivers 70% boost to ore reserve at Coburn (0) April 16, 2019 Strandline Resources has achieved a significant upgrade at the Coburn mineral sands project in Western Australia following the completion of a definitive feasibility study (DFS). 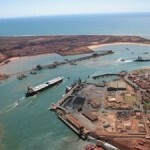 Rio Tinto cuts guidance for Pilbara iron ore shipments (0) April 16, 2019 Rio Tinto has reduced its 2019 guidance for Pilbara iron ore shipments following a damage at the port brought by tropical cyclones. Perseus project takes key step towards first gold pour in 2020 (0) April 16, 2019 Perseus Mining has secured up to $45 million in funding that will assist the company’s development of the Yaouré gold project in Côte d’Ivoire, West Africa. Regis commences underground expansion at Rosemont (0) April 15, 2019 Regis Resources has started development of its underground Rosemont gold site with an aim to achieving first ore in the September quarter of 2019. Industry funds foster METS collaboration (0) April 15, 2019 Seven engineering and technology companies have been granted significant financial awards totalling $4.1 million through METS Ignited’s project funding program. Rio Tinto awards key Koodaideri contract to WorleyParsons (0) April 15, 2019 WorleyParsons has been awarded a major works contract at Rio Tinto’s Koodaideri iron ore project in the Pilbara region of Western Australia. Metro lifts production at Bauxite Hills after resuming operations (0) April 15, 2019 Metro Mining’s Bauxite Hills mine north of Weipa is back in operation after a planned hiatus during the wet season in Far North Queensland. 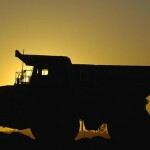 Queensland takes Western Australia’s top spot for jobs growth (0) April 15, 2019 Job vacancies in the mining and resources sector have risen 1.3 per cent in March this year, according to the latest Mining and Resources Job Index report from DFP Resources. 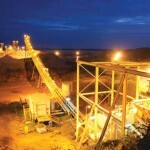 TNG persists with ‘arduous’ approval processes at Mount Peake (0) April 12, 2019 TNG is advancing its Mount Peake project in the NT towards a final investment decision off the back of $US600 million ($850 million) in debt financing it secured last year. Fortescue offers jobs through training program (0) April 12, 2019 Fortescue Metals Group has offered employment to 836 Aboriginal people and will continue to offer jobs to graduates of its vocational training and employment centre (VTEC) program.